Today marks the 100th day from her birth. 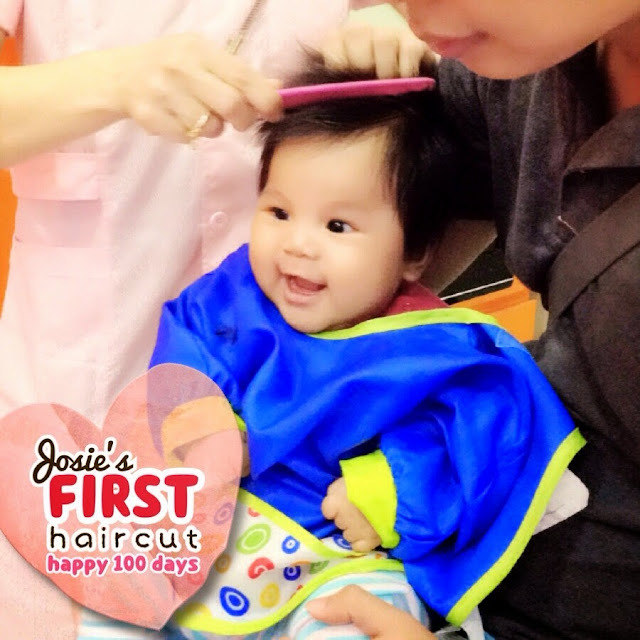 And we brought her to Baby Spa for her first haircut. I don't want to shave her hair, so it was only trimming. But to be honest, the skill isn't that good. And the scissors they used is so... Blunt. But one of the ladies there started playing with LO and she laughed. Thanks to her, I got a really nice photo. I doubt I will go there again. Maybe another outlet, but not this outlet for sure.